Tigos optimizers enable each module to produce its maximum power, without affecting adjacent modules in the string. After six months of operating with TS4-R-Os, the system is performing an average 36% better than it did during the equivalent months in 2015 and 2016. 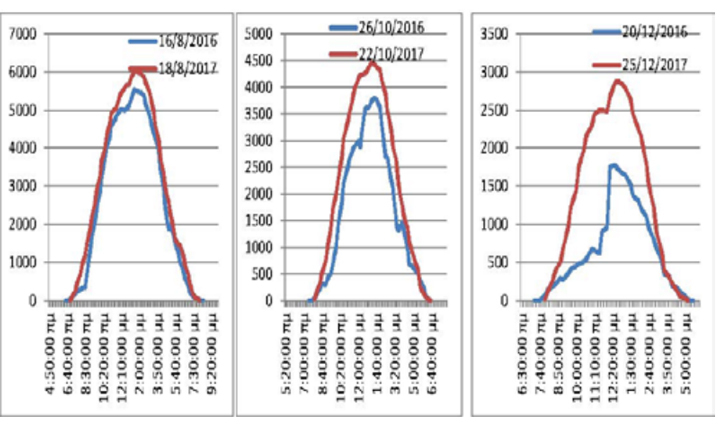 A side-by-side comparison of a residential PV system with Tigo’s DC optimizers showed an average increase in energy production of more than 36% between August and January. Detailed analysis of the results proves that the boost in performance is due to mismatching shading effects and balancing strings that are split across different orientations. 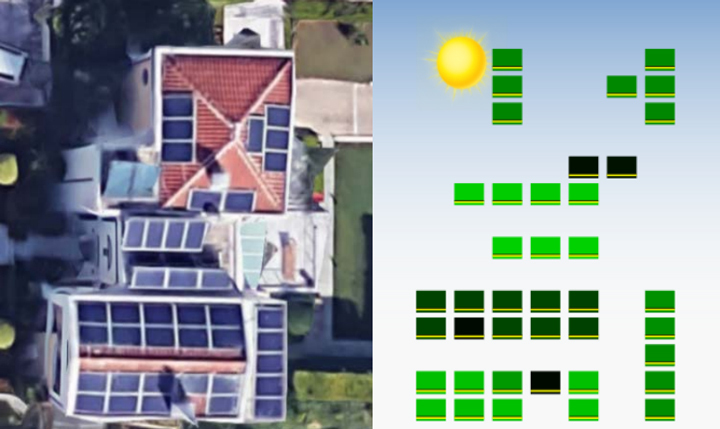 Satellite imagery shows different array orientations and shadows. Tigo’s online monitoring portal shows this system on Oct. 27th, 2017 at 1pm with 40 TS4-R-O (Optimization) covers. 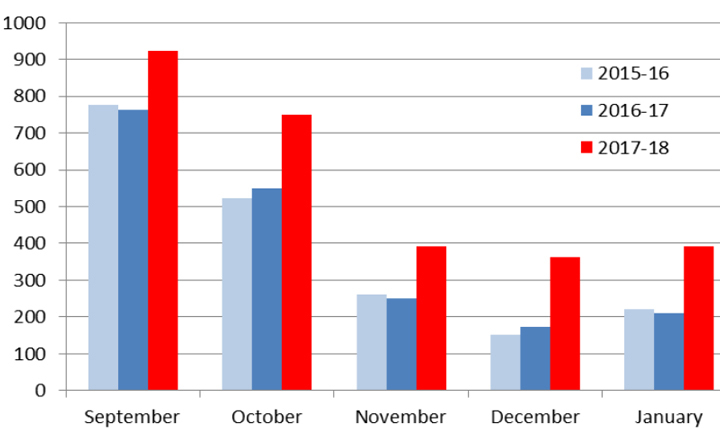 The total energy production per month is shown with Tigo (red) and without (blue & light blue) optimizers. The chart clearly shows a consistent increase using Tigo. This installation had a very low kWh/kWp performance over the years comparing to others in the same area. It was selected to demonstrate the impact of Tigo optimizers on the existing systems with shadows and mixed orientation strings. For four years, this system operated without DC optimizers. Then in September 2015, production monitoring was installed. Later in August 2017, Tigo’s TS4-R-O (Retrofitted Optimization) were installed. The production with optimization was compared to the production without optimization to determine the change in performance that may be attributed to Tigo’s optimizers. The production data that was monitoring showed the total monthly energy produced with the difference between 2016- 17 and 2017-18 (with and without DC Tigo Optimizers). The data clearly show a consistent increase in the 2017 numbers relative to the 2016 same period. Comparison of energy production between 2016 – 2017, with Tigo (red) and without (blue) optimizers for different sunny days of August (a), September (b) and December (c). Tigo’s optimizers enable each module to produce its maximum power, without affecting adjacent modules in the string. After six months of operating with TS4-R-O’s, the system is performing an average 36% better than it did during the equivalent months in 2015 and 2016. For the winter months when the shadow effects are maximized, the production with Tigo optimizers doubled!